Wash your brushes occasionally with gentle brush soap and let them dry hanging upside down in Brush Guards. As with all brushes made with natural hair, some shedding may occur during the first few uses. As a professional makeup artist I have hundreds of brushes. 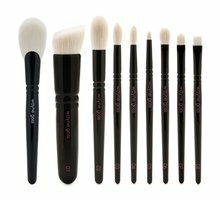 I love "The Wayne Goss" Anniversary Set. This is the second set I have purchased. I own Hakuhodu and Suqqu brushes from Japan and find no difference between Wayne's and the high end Japanese. I deffinetly would repurchase and recommend to all. 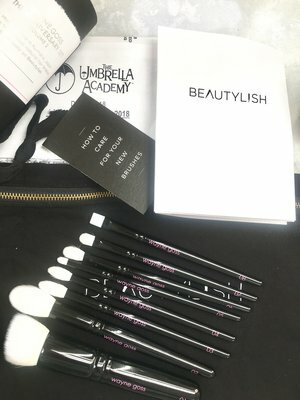 Beautylish delivers quickly and the presentation is top notch! Soft and silky, absolutely wonderful quality. 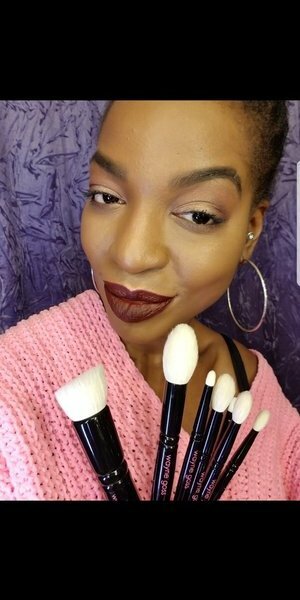 Used them all today and they are amazing with outstanding performance; great blending, color control and a soft, natural finish for all products. 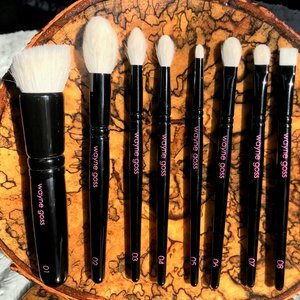 I am 59 years old and the two sizes of the crease brushes are perfect for hooded eyes because they didn't blow out all over, you can control it and it blends as you use it, plus the blending brush is to die for. 01 foundation blended liquid minerals to a beautiful finish and the 02 blush brush perfect for starting with a small amount and blending out. Love every single one of them. I have lots of nice brushes but these are a big step up in quality, function and luxury. I am super excited about these brushes and so glad I got them! I have hundreds of brushes that I have collected over the years. This set blows all other brushes out of the water. This is my first time investing in expensive brushes and I am glad I did. These are the softest brushes I own. They are not scratchy at all and are even softer than synthetic brushes. I am now a convert and this is just the start of my Wayne Goss collection. I have learned my lesson and it is better to invest in better brushes than to waste any more money on a bunch of cheaper ones. Thank you Wayne for changing my life ! I have several brushes from different brands so I held off on these brushes cause of the price. I finally caved and bought this set and I don't regret giving up a single penny. These brushes are unmatched! They pick up and blend pigment like a literal dream. I actually look forward to using these brushes. Ok, I get it— these are really expensive make up brushes. But we all definitely spend quite a bit on make up and these are the tools that really bring out the best in our products . The #1 large Roche is absolutely outstanding for primer, foundation, and buffing . The next largest is wonderful for powder, highlighter and blush and the eye brushes take your blending game to the next level ! Thanks Wayne. This is a stunning collection that is well worth the price tag. I expect they will last a lifetime. Amazing! I have all of Wayne’s sets and this might be my favorite. Everything you need for a full face- brush 2 is a true multitasker. I really love the foundation brush- it gives such an airbrushed look. The eye brushes are soft but lay down color beautifully. Pencil brush is the best one I’ve tried yet. Great push liner brush- no more tears when tightlining. 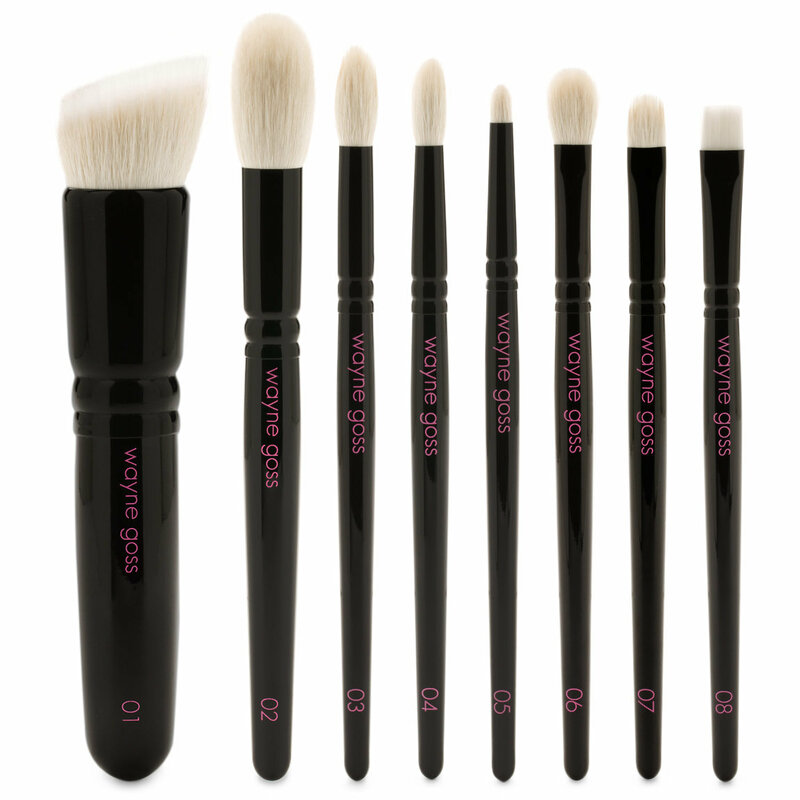 Worth every penny- every brush reflects the quality associated with the Wayne Goss brand. Great brushes but a bit gutted as I was convinced to spend more and “upgrade” the the anniversary set 2 but feel the original set is far more superior. I love his lip brush (which you don’t set in this set) and the white bristles just dont look or feel as nice as the original black ones. Wayne's brushes are so soft and high in quality. At age 40, I just want to pamper my face with the best. Thank you Wayne for providing such beautiful brushes.